Japan sent a fleet of four whaling vessels out in search of minke whales to the Pacific Ocean this week, despite a global moratorium that has outlawed the practice since 1986. According to AFP, the fleet plans to hunt 51 individuals in the waters off Kushiro city. This season previous hunts have brought in 90 endangered sei whales, 25 Bryde's whales and 30 minke whales. The move comes after the International Court of Justice ruled in March against the "scientific" rationale for the country's annual Antarctic hunt, ordering it to halt. While this hunt isn't covered under that ruling, many have argued that the scientific evidence for the Pacific hunts is similarly unfounded. We are concerned that Japan's whaling program is not designed to answer scientific questions relevant to the management of whales; that Japan has refused to make the information it collects available for independent review; and that its research program lacks a testable hypothesis or other performance indicators consistent with accepted scientific standards. 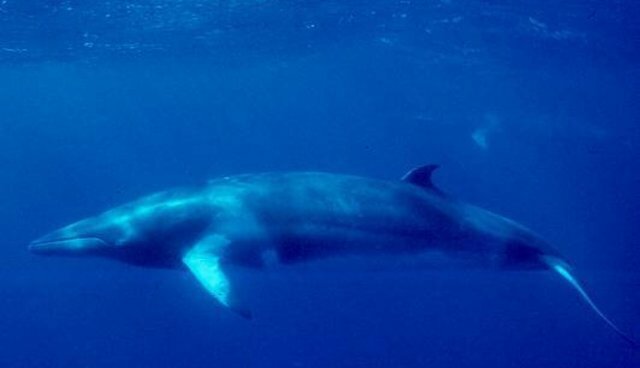 Minke whales are not listed as endangered, but some populations are considered "data deficient" by the IUCN Red List, meaning that it's not known whether their numbers could be threatened by whaling. As the Times letter stated, using modern techniques, data about the species can be studied using non-lethal means.